The Cheesy Chicken Burger is exactly as described in the menu. Quarter pound chicken overloaded with cheese along with garlic and pepper mayo. Priced at Rs. 270 + Rs. 80 for Masala Fries and Coke. 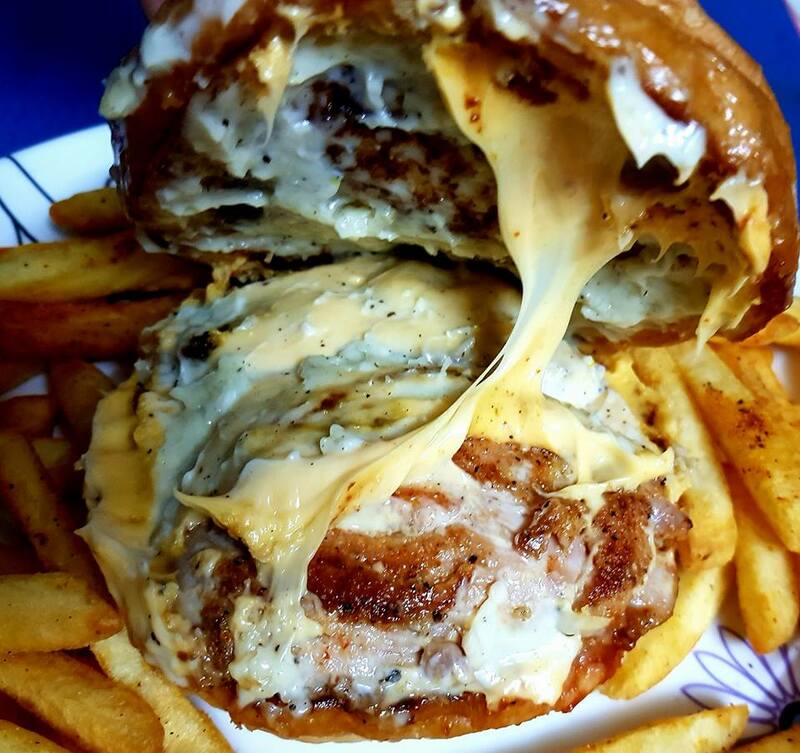 This is probably the best Chicken and Cheese Burger you can get in Pune.